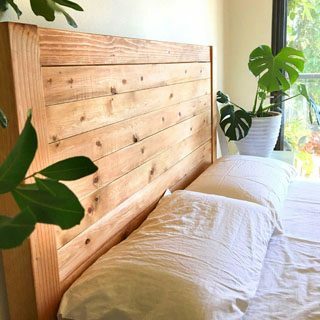 Do you love the smell of cedar, pine and redwood? 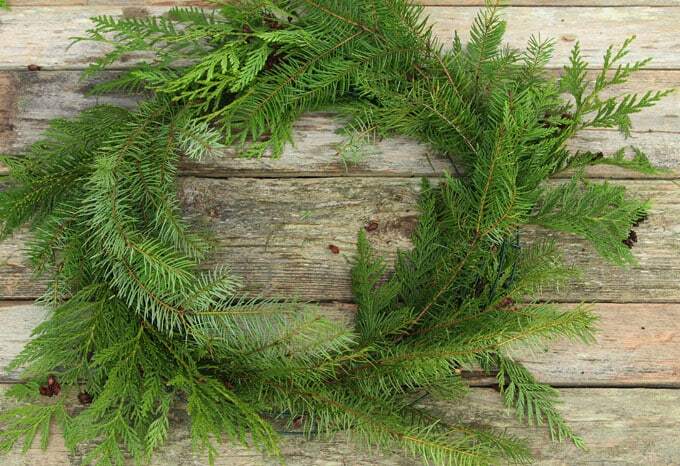 This DIY fresh Christmas wreath is something anyone can make in less than an hour using fresh evergreen cuttings of conifers and berries! With the cooler temperature outside and a little bit of mist, rain or snow, it will stay fresh for days or even weeks! 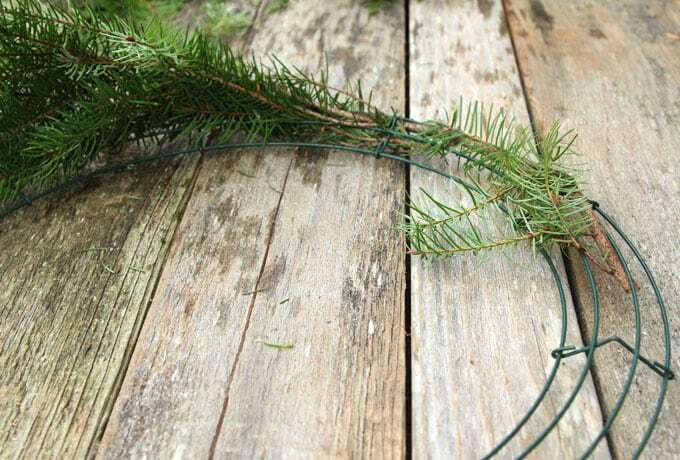 All you need are some cuttings, and a few simple materials to make this DIY fresh Christmas wreath for this holiday season! 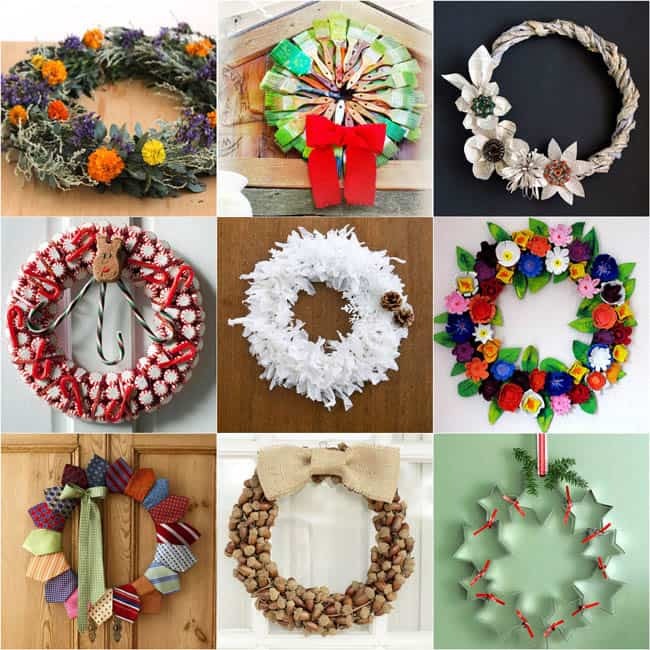 If you are looking for more DIY Christmas wreath ideas for indoors and outdoors, here is a collection of 30+ creative wreaths using materials you can find around your home! 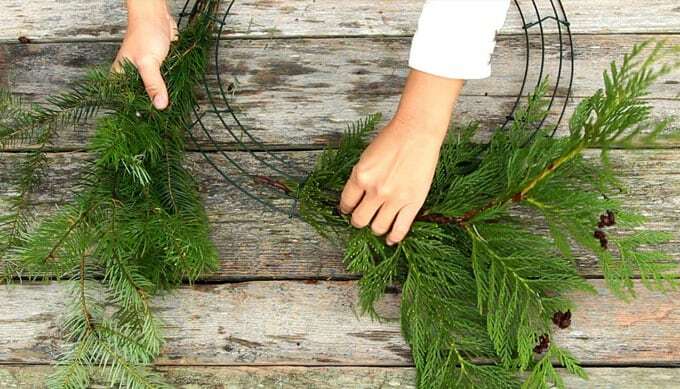 Step 1: Gather materials for your DIY fresh Christmas wreath. The only materials we need besides botanical cuttings: an 18 inch wire wreath frame and some natural jute twine. 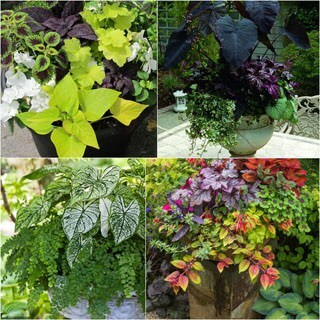 Try to find different kinds of conifers with foliage color variations such as bright green, blue green, yellow green, etc. 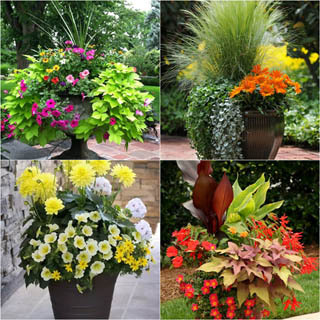 You will also need some cuttings from evergreen shrubs or trees that have clusters of bright colored berries. 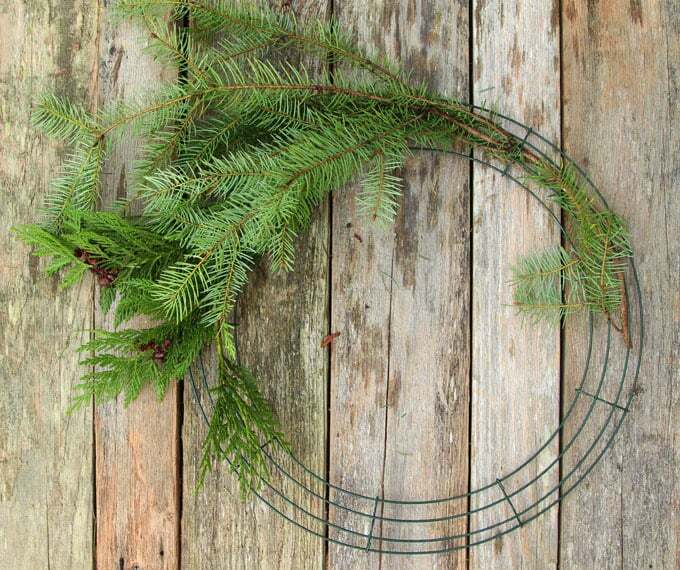 Take an 18 inch wire wreath frame and “weave” a piece of conifer branch about 18″ to 24″ long through it. 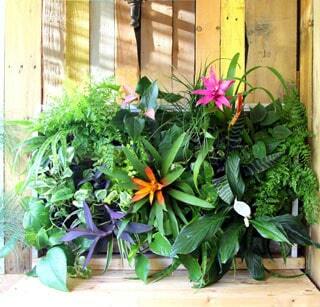 The photo below shows how the branch is held securely by the wire frame without the need for any florist wire. 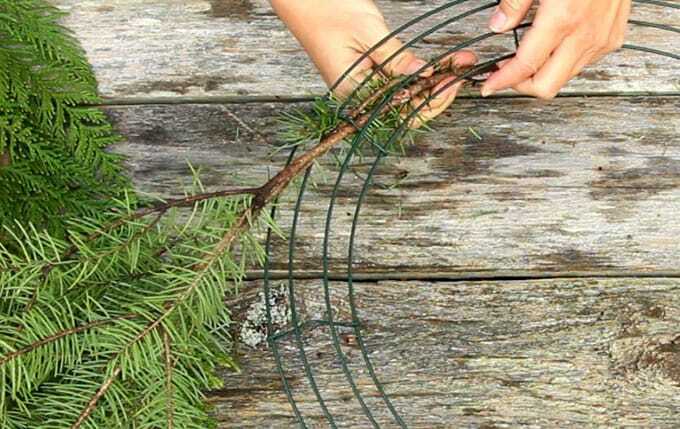 Continue “weaving” more branches through the wire frame, tucking the end of each branch under the foliage of the adjacent one. You will need 6-8 branches to complete the circle. 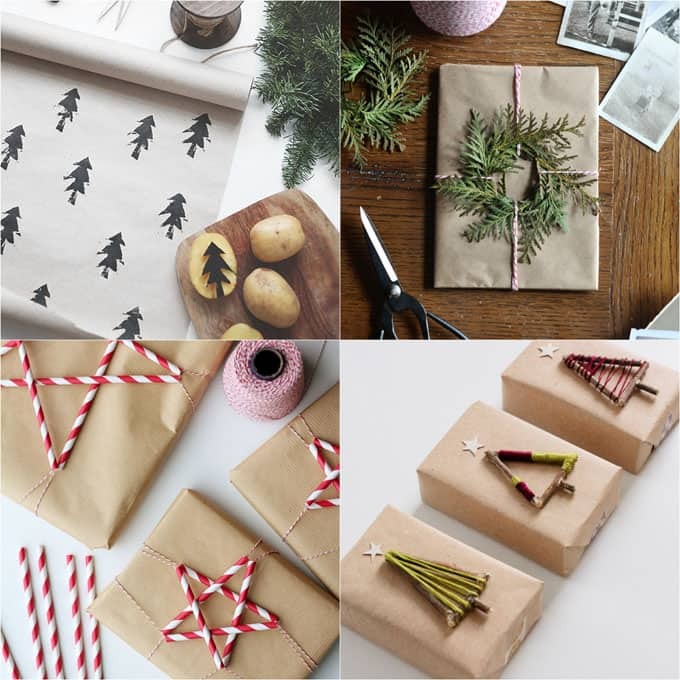 16 amazing gift wrapping hacks. 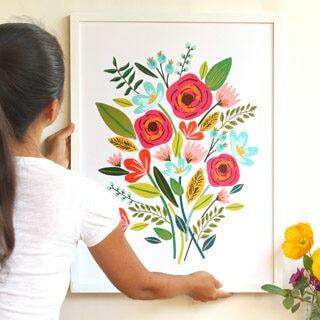 Step 3: add colorful elements to the DIY fresh Christmas wreath. 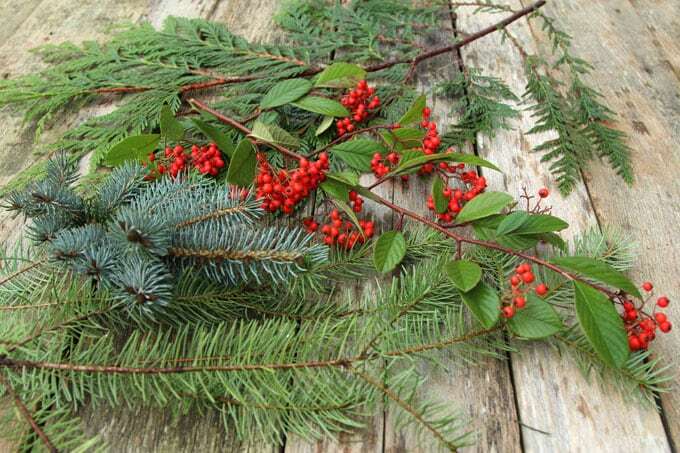 Since it is a fresh Christmas wreath, we are using red berries and blue spruce, which reminds me of ice and snow. 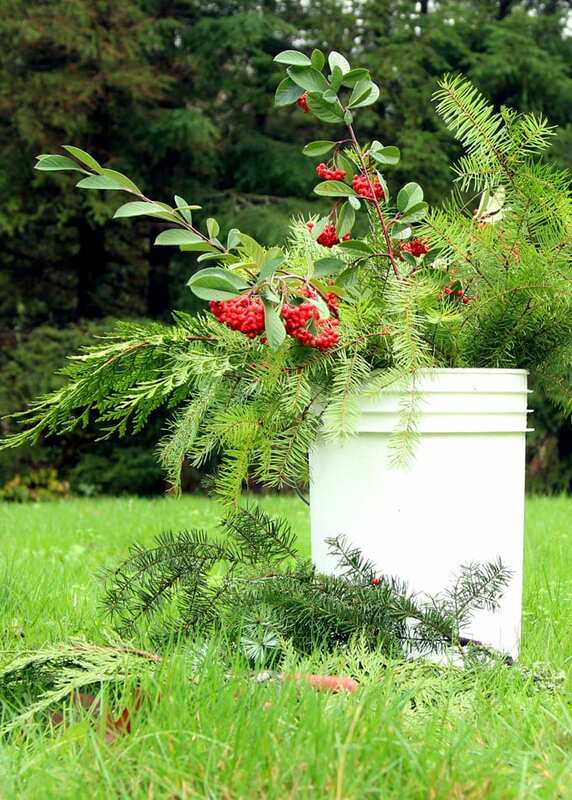 Blue spruce is quite prickly, so be careful! Wear gloves if you need to. You make it look so easy – I’m going to give it a go! I also love the gift wrap, so much nicer than shop bought. 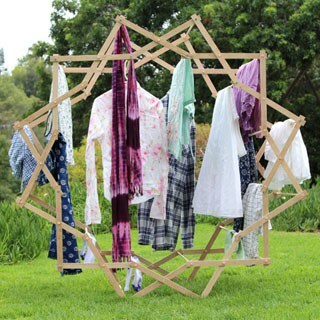 I wish I was creative enough to create my own wreath! 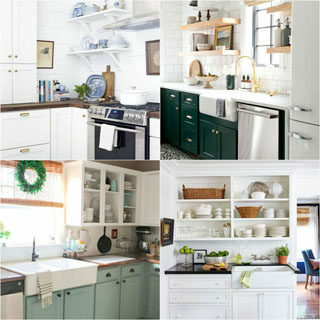 But I loved what I got for our home. It’s one of the first Christmas decors we got. 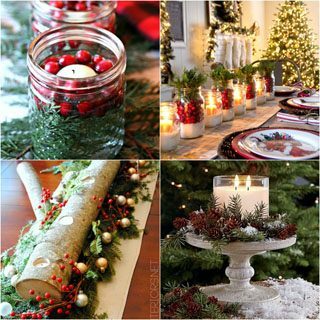 Ananda… I love this idea and I think i will try to do one …Il will post joy in m heart and hope in tomorrow…Time Christsmas is time peace and silence beauty.. I am going to have to give this a try. They look beautiful. And the money I could save. Thanks for the ideas! Stunning! Thank you for the step by step instructions, love it! This came out gorgeous! I have been wanting to make a real wreath for years and this has me convinced now that this year is the year! This doesn’t look too hard at all. 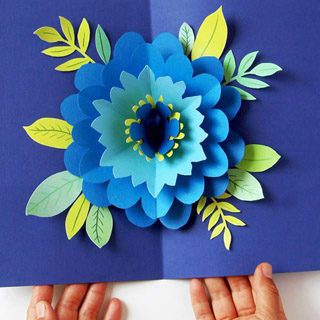 I think I might actually try to make one this weekend. 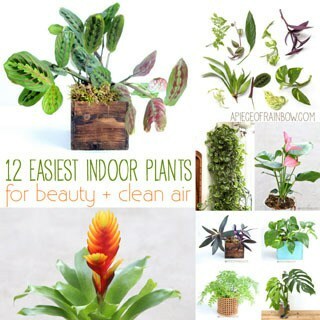 It’ll brighten up my door for sure! Wow, I had no idea these could be made so quickly! The finished product is flawless! 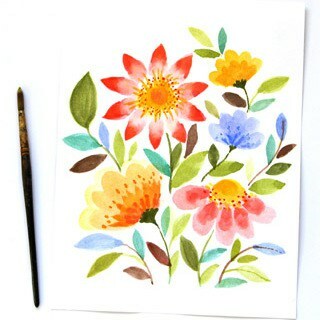 This is so very pretty and you make it look so easy. I’ve been wanting to add something to our back door since you can see it from one of the streets in our neighborhood, this might be perfect for that space. Ananda!! This is absolutely stunning. Please come to my house and make one 😉 Hope you’re having a wonderful December! This Christmas wreath is a gorgeous creation of color, texture and style! Such a great decoration for the holidays.